Howard Phillips Lovecraft was an American author who achieved posthumous fame through his influential works of horror fiction. Virtually unknown and only published in pulp magazines before he died in poverty, he is now regarded as one of the most significant 20th-century authors in his genre. Lovecraft was born in Providence, Rhode Island, where he spent most of his life. 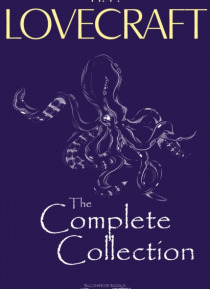 Among his most celebrated… tales is "e;The Call of Cthulhu"e;, canonical to the Cthulhu Mythos. Never able to support himself from earnings as author and editor, Lovecraft saw commercial success increasingly elude him in this latter period, partly because he lacked the confidence and drive to promote himself. He subsisted in progressively straitened circumstances in his last years; an inheritance was completely spent by the time he died at the age of 46.